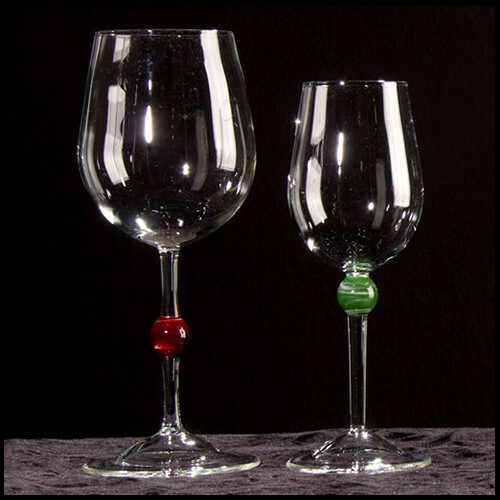 The Gallicchio Glass aerator is a hand-blown bottle top aerator designed to “open up” each glass as you pour. 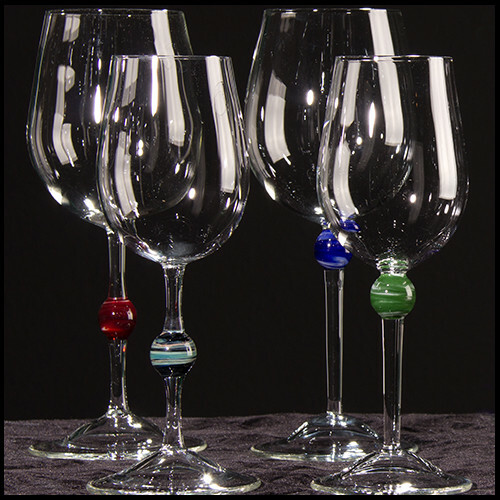 The simple aeration process expands the surface area of wine, allowing it to breathe and release the full flavor and aroma. 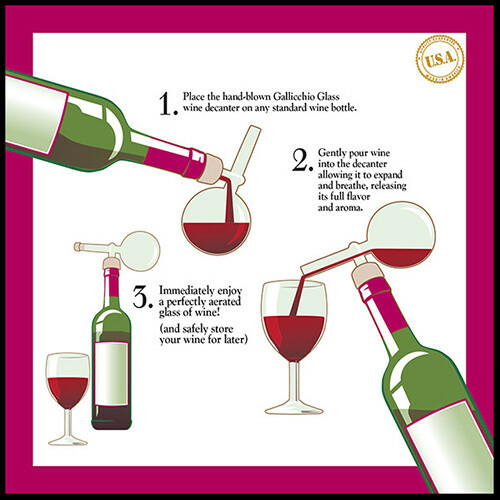 You’ll immediately enjoy your wine, as the winemaker intended. Each Gallichio Glass aerator comes beautifully packaged in our signature black box, ready to impress both the wine aficionado and the aspiring wine enthusiast.